How it feels to drop $100 on card gaming… supplies?! It’s been 2 weeks since the EMA draft. Since then I’ve had a lot of ideas for posts, but never got around to actually writing them. 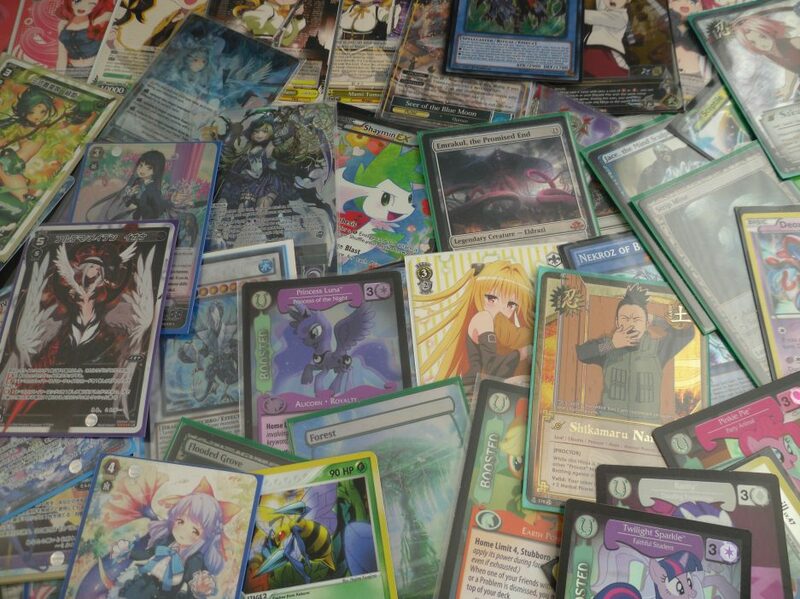 In lieu of anything meaningful though I’m going to mull over the card gaming purchases I’ve made since EMA. There was virtually no EV in any of these packs, but on impulse I got it opening nothing crazy, but pulled decent enough to not complain. In addition to this I picked up 2 Yugioh Repacks which turned out to have Legendary Collection Yugi’s World packs in them. Gambling on opening Mask of Restrict I got 2, but saw no mask, though the 2 Upstart Goblins, Torrential and Mirror Force more than made up for it. Then during the same day at Walmart I picked up an actual Legendary Collection Yugi’s World. Again with the hope that Mask of Restrict would justify all of my mad expenditure. I did pull a Mask along with enough nice foils to not regret anything. I started making a more concrete effort to get better at EDH. Though while I bought a lot of singles for my existing decks, my main Magic purchase of the month was a pre-made Karador, Ghost Chieftain deck. I won it on ebay and decided to just keep it after making some edits. All this not counting lands/commons for $40. Well I always said that one day I’d invest in protecting my Yugioh collection and that day came when I finally bought 30 deck boxes from Potomac. That along with ten 100 card deck boxes were ironically not enough to store all that I have, but it’s a nice start. Alongside that I got some Yugioh sized Dragon Shield sleeves (mostly because I didn’t know they existed). On impulse I also got 2 Weiss Schwarz decks. Why? I again don’t really know. I’ve come to see Weiss as the best card game to never actually play. I like collecting the cards, but I don’t really like playing the game. I ended up splitting the product with a buddy, if that makes reconsider seeing me as insane for buying this much. Looked cute, liked the shows, good enough reason in my book. Anyway, thanks for reading as usual. I’ll get back in the swing of things soon.